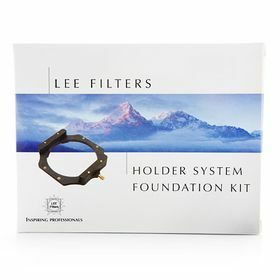 The foundation kit is the basic filter holder package and can be constructed to take up to three filters at any one time. It clips easily onto the adaptor ring and takes standard 100mm filters. An adaptor ring is required to use this holder (sold separately) and there are two types of Lee filter adapter rings, standard for general use and one for wide-angle lenses.